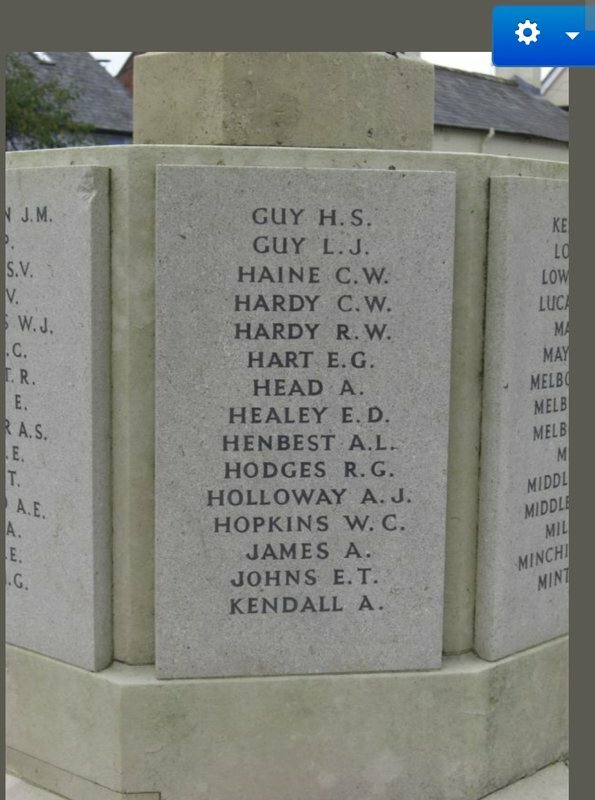 A local man, John Hawkins has researched the local (to where I work) war memorial for the 163 names upon it, in Ringwood, Hampshire. I don't know if John is a member of GWF, suspect not. I saw a local display at lunchtime today where he's appealing for info on 5 names not traced to date. Suspect a regiment & service number would be what he is looking for. Soldiers effects shows no R Brown killed or died on 31 July 1918. No T Melbourne in the soldier's effects or SDGW. There is a Richard Thomas Melbourne born in Maesteg - he however was in Wales in 1911. Tracking a Sapper S Trussell #265819 who was discharged for Sickness in 1919 aged 39...but particulars furnished or for Taviatock Square. 4669 Frank Melbourne, 3rd Hussars, died 19/9/14. Husband of C. Melbourne, of 1, Jubilee Cottage, Ringwood, Hants. 23424 Edward Patric Healy, Royal Scots. husband of Bessie Edith Wilson (formerly Healy), of 2, Strides Lane, Ringwood, Hants. Many of the men "missing" from the Galashiels War Memorial I researched died after the end of the war or after they were discharged sick. You need the date that the war memorial panels were installed / carved/ cast. You can then search through the death records/ Local papers etc looking for people who could have served. (This is easier in Scotland as the death certs are on-line). The thing to remember is that the war memorial committee rules for inclusion could have been very different from the CWGC rules. A T Kendall's names was Albert Tom, so it seems very possible that he was known as Bert. Private 2737 Samuel Trussell 9 Royal Scots, discharged through sickness March 1915? 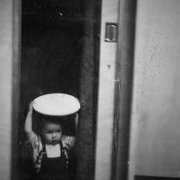 Our S Trussel born in Patricroft Lancashire it seems. Cannot see any Samuel Trussells born in Scotland. Edit noting IPT's Edward Patric Healy..being a Ringwood man in the Royal Scots..then he is a possible. A D Healey...should read E D Healey? A potential is 4736 Pte ED Healey Connaught Rangers...MIC has him as deceased, Medal Roll deceased 25th 4th 1916. (Served as SMITH), Son of the late Mr. and Mrs. Alick Healy, of Manchester; husband of Bessie Edith Wilson (formerly Healy), of 2, Strides Lane, Ringwood, Hants. As per post #4. that makes it much more likely to be Edward Patrick (Or Edward Joseph) Healy (or Healey). For whatever reason, he served as Joseph Smith. He seems to have surviving service papers. He married Bessie Edith Carpenter in 1915 in Christchurch, Hampshire. Interestingly, both he and Samuel Trussell appear to have been from Manchester area and served in the Royal Scots. Twas thinking the same...a misread P as a D very plausible. And you look good too. Think E P Healey is the E D Healey then?!? Wow, that's a great response from all you guys. There's at least a couple of hot leads there. Did a quick check on Geoff's search engine using 'Ringwood' in the additional info field and found most of the names being proposed but hadn't the time to dig deeper. The Ringwood Meeting House only seems to be open during the lunch hour on Wednesdays but I'll see if I can contact John with all your info before then. One of the things I found with memorials is that they sometimes reflect where the families were living in the 1920s rather than where the soldier may have lived. 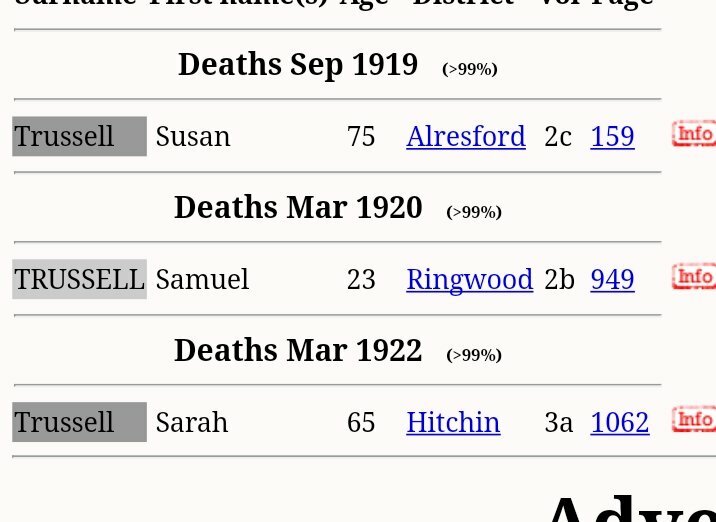 One of my own relatives is on a village memorial in a place he almost certainly never visited but it just happens that his mother moved there in 1921. I'll check the actual memorial tomorrow but suspect you're correct and AD is a mistake. But was lifted off an image of the memorial.. (Ringwood Memorial Gardens). of death fits in with Thomas the Butchers YoB. Gunner 94911 Thomas Melbourne can be discounted too old. 1917 Cas record. Thomas Melbourne...age at time of death fits in with Thomas the Butchers YoB. Looks very likely. The birth of this man was registered in Ringwood in 1884, and he appears there in 1891 and 1901. His parents are still in Ringwood on the 1911 census. There's a chance that he's the Thomas Melbourne that marries Cecilia Higgins in Bolton in 1907 (Cecilia Melbourne died in Bolton in 1941). This man is living in Bolton in 1911. There are some 1915 and 1920 service/pension papers for a Thomas Melbourne, in Lancashire, born 1884. Just found his birth reg as you say 1884...but on the 1911 census he is in Bournemouth but abt is 1886...hence I plucked for the 1920 Fareham death. Never doubted you for a minute! The display I saw yesterday said that lists printed in parish magazines sometimes showed different initials to those that actually ended up on the memorial. I suspect the AD came from one of those other printed sources. One copy of a parish magazine in their archive has four names in pencil, all of which appear on a smaller additional panel so it's clear that ammendments were made after the initial unveiling. Thanks again for you good work. BROWN, CHARLES. Captain. Died 25/04/1918. Aged 31. Son of Charles and Eliza Brown, of 1, Rose Cottage, Ringwood, Hants. Buried at LIJSSENTHOEK MILITARY CEMETERY Plot XXVIII. Row A. Grave 2. HEALY, EDWARD PATRICK. (Served as SMITH), Private. Service Number 23424. Died 25/07/1916. Aged 27. Son of the late Mr. and Mrs. Alick Healy, of Manchester; husband of Bessie Edith Wilson (formerly Healy), of 2, Strides Lane, Ringwood, Hants. Commemorated at THIEPVAL MEMORIAL: Pier and Face 6 D and 7 D.
KENDALL, A T. (AlBert) Private. Service Number G/111014. Died 27/02/1919. Aged 31. Son of the late William and Janet Kendall, of Crowe, nr. Ringwood, Hants; husband of Edith Kendall, of Castletop, Burley, nr. Brockenhurst, Hants. Buried at ABBEVILLE COMMUNAL CEMETERY EXTENSION: Plot V. Row G. Grave 8. Husband of C. Melbourne, of 1, Jubilee Cottage, Ringwood, Hants. Buried at VAILLY BRITISH CEMETERY: Plot I. Row AA. Grave 28. Others have broken the back of this enquiry, but for reference, I attach the Ringwood extract from CWGC for WW1.